Typical Tuscan Style Villa with Private Pool and Large Private garden. Property 14: Typical Tuscan Style Villa with Private Pool and Large Private garden. 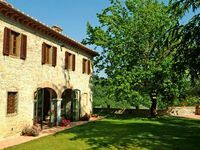 Property 27: Villa Costa, Superb Villa in the heart of Tuscany. 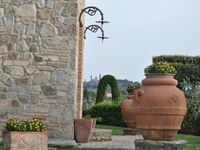 We just returned from spending a week at Val d' Elsa and had an absolutely wonderful time at this amazing home in one of the most picturesque settings in all of Tuscany. Barbara was a great host and did everything she could to make our stay enjoyable. Our grand kids didn't want to leave :-) The location is convenient to San Gimignano and central to the areas of Tuscany.